Home » Recipes » Chocolate Chocolate Chip Cookie Recipe- Gluten-Free and Vegan! Chocolate Chocolate Chip Cookie Recipe- Gluten-Free and Vegan! 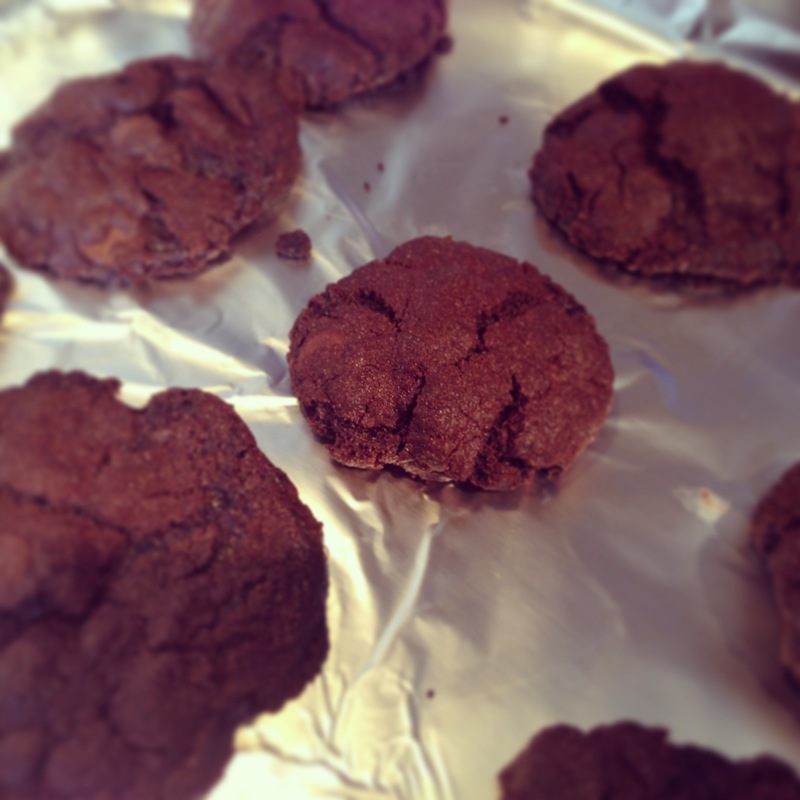 One of my best gluten-free recipes is for a chocolate chocolate chip cookie. It’s also vegan. First, cream the butter or margarine with sugar, oil, vanilla, and water. In a separate bowl combine all other dry ingredients. Add the chocolate chips, of course you can add more or less depending on taste. Nuts could also be added. The dough will be crumbly. Cover the bowl in plastic wrap, and place in the refrigerator for at least an hour. After refrigerating, roll and press dough into balls. Bake at 350 degrees for 12-15 mins.